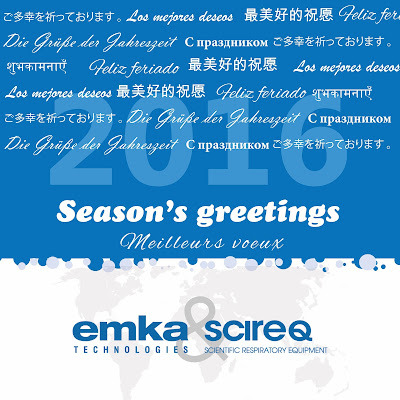 SCIREQ Inc.: Happy holidays from emka & SCIREQ! 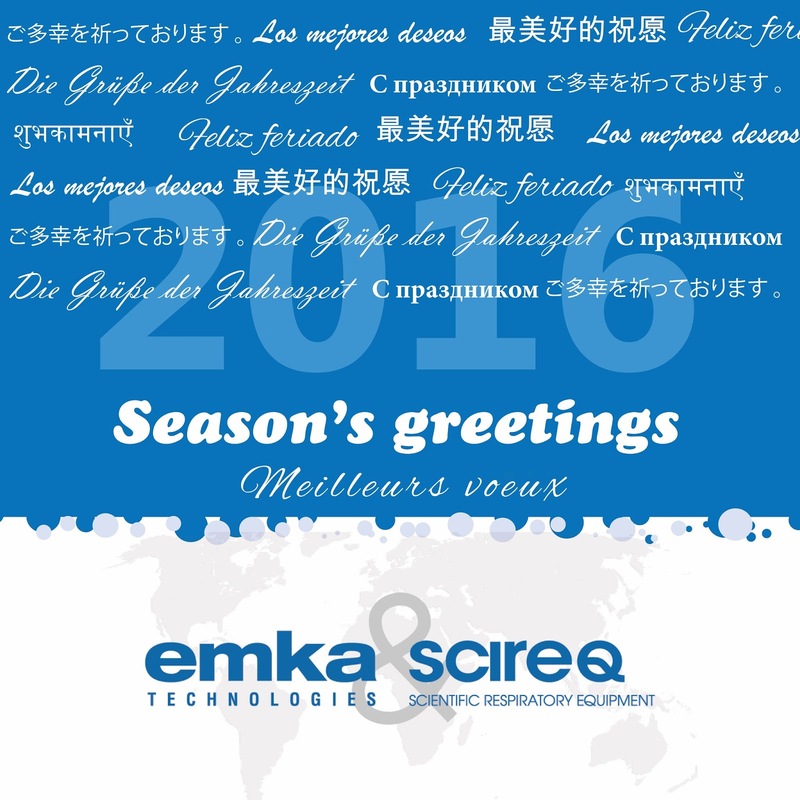 From all of us at emka TECHNOLOGIES & SCIREQ, we want to thank you for trusting us to help achieve your scientific research goals. We wish you all the best for 2016 and look forward to working together in the New Year. Closed from Thursday December 24th to Friday January 1st. Closed on Friday December 25th and Friday January 1st only. Open all other days. Closed from Friday December 25th to Friday January 1st.